Escape rooms are a fun, new entertainment concept anyone can try. Participants are locked inside a themed adventure room and must try to figure out how to escape before the time runs out. But what exactly happens inside an escape room? After an initial briefing covering the general rules, a friendly guide leads you to the door of your escape room. Your group will enter and get acclimatized before the guide leaves you. Once the door closes, a video introduction will play, introducing the room’s theme and storyline and giving you instructions on how to get started. Then your group begins exploring the room, looking for clues and solving puzzles and challenges one-by-one, as you work towards your escape. Who goes to escape rooms? Escape rooms are for all people who like having fun, who enjoy playing games and are looking for something new to do for fun. Whether you are a group of friends, family members, or coworkers, everyone will find something they enjoy. Escape rooms are also excellent for team-building. Once the door closes, your group will be focused on the singular goal of working together and trying to escape. Consider booking your next corporate or sport teams get-together here. 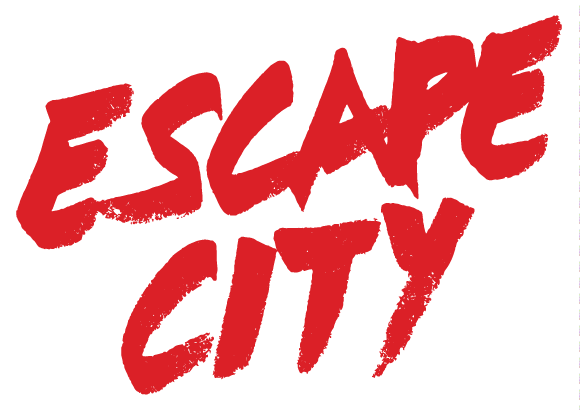 What sets Escape City apart from other escape rooms? Escape City prides itself on providing you with the best escape room experience you can imagine at our two locations in Edmonton and Saskatoon. We pay attention to detail - Escape City makes you feel like you’re in the middle of the story. Our rooms have been designed in consultation with experts in the theatre and film industries to ensure they transport you to another world. We are passionate - Escape City was started by five guys who tried an escape room and fell in love. We opened Escape City because it’s fun and we wanted an opportunity to push the boundaries of what escape rooms can offer. We buy local - Escape City works with local contractors and businesses. Locally-based set designers, actors and video producers help develop the themes and experience for each of our rooms. We partner with local caterers and breweries on all of our corporate events. Buying local creates an experience you can't find anywhere else. Come experience the difference for yourself, you’ll notice it as soon as you step inside! What if the puzzles are too hard? Escape rooms are designed to be challenging, because it’s hard to have fun when things are too easy. At Escape City we include a variety of different types of puzzles, which use different skills and capacities. This means everyone will be able to contribute! Ensuring you have a great experience is important to us - so if a puzzle too tough, your group will be able to request a hint from our friendly game-masters to help push you through to the next challenge. At Escape City, we believe it’s important to provide something for everyone. So although some of our games have mature themes and are recommended for those 16 and older, others are focused more on providing entertaining situations the whole family can enjoy. Please note, children under the age of 12 must be accompanied by an adult. What happens if I need to leave the room? You will be able to leave the room at anytime if you need to take a break to use the washroom or get some air. The only thing forbidden from taking a break is the clock, so use your time wisely and visit the washroom before you go in. How many people can play at one time? Can you accommodate larger groups? Most of our adventures are designed for groups of 2-8, we also have a larger room that can accommodate groups of up to 12. All our adventures are private experiences, meaning your group won’t be paired with anyone else. Those planning a corporate retreat, team-building session, birthday party or bachelor/bachelorette party are encouraged to contact us. Whatever the group size or type of event, the friendly staff at Escape City will cater to your needs and make booking a breeze.